The Galápagos Islands are a dream destination for any nature lover. But what makes them so extraordinary for a younger traveler? 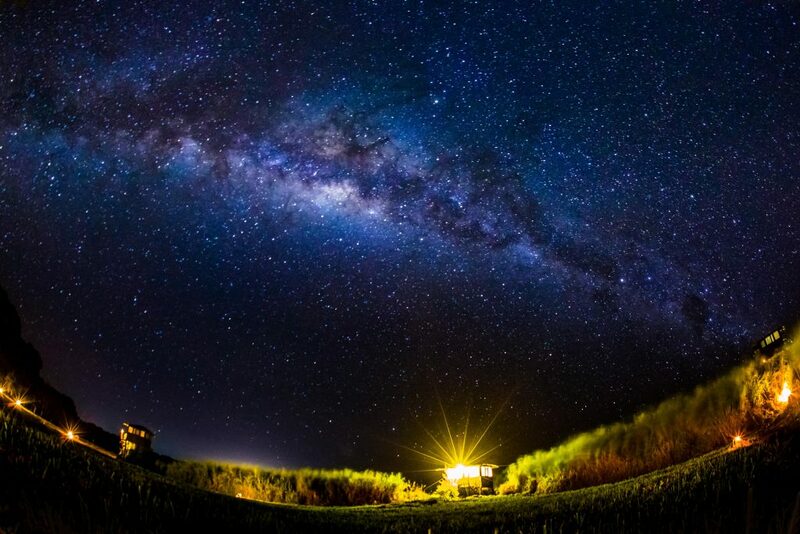 Like everything in the Galápagos, the answer is as varied as the islands themselves. Snorkeling, hiking, wildlife encounters… it’s the adventure of a lifetime. And it’s a vibrant reminder of why conservation is so critical for all of us, including the younger generations. 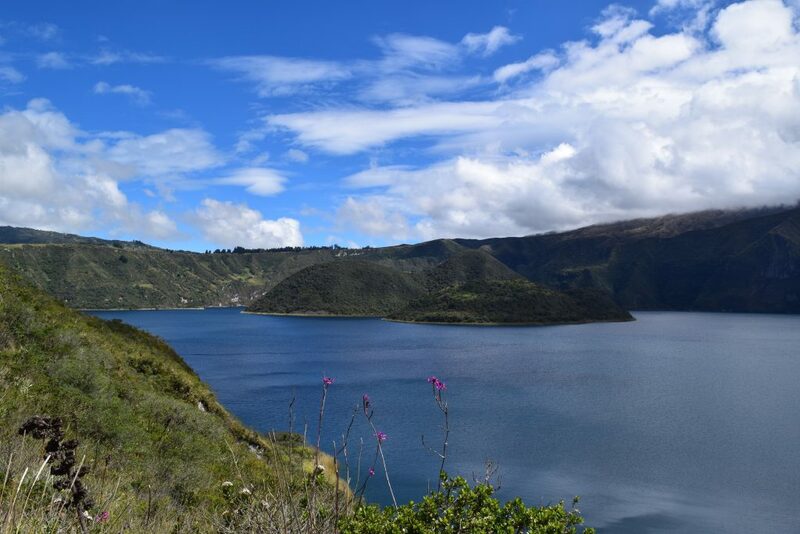 The Family Adventure begins with a stay in Ecuador’s highlands. A mild hike in the mountains offers a spectacular lake view. Later, a walk through South America’s oldest marketplace tempts even the most reluctant shopper to pick up a keepsake or two and will delight younger travelers with its smells and vibrant colors. Before you leave the highlands, make sure to seek out a secret passage at Hacienda Zuleta. 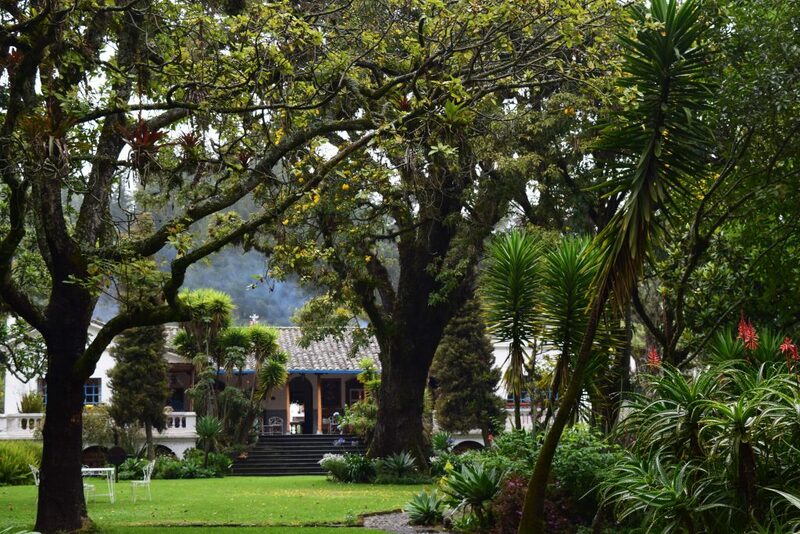 Dating back to the 17th century, the hacienda’s grounds include stunning gardens and some resident llamas. Once in the Galápagos, encounters with wildlife abound. 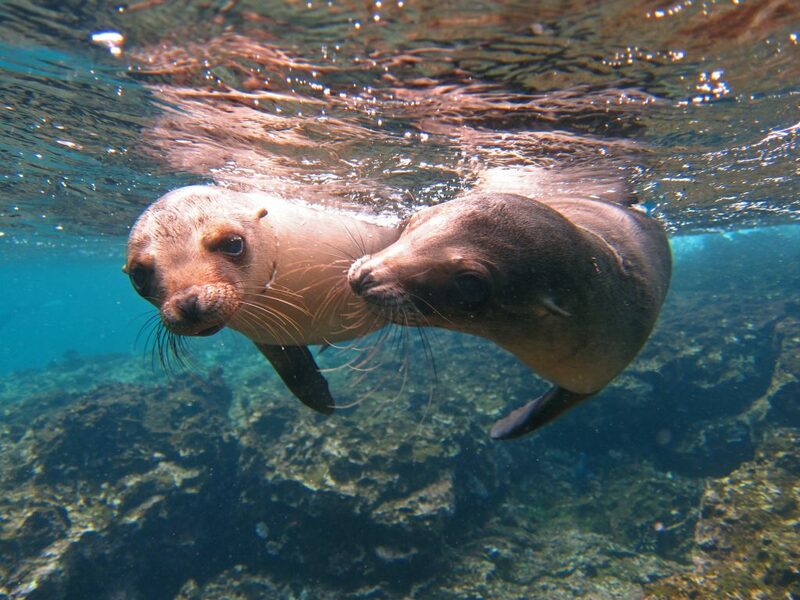 Sea lions are just one highlight as the youngest cubs often come by to check out snorkelers. The future of the Galápagos depends on protecting sea lions and other species which keep the islands’ entire ecological integrity intact. WWF has worked in the Galápagos for more than 50 years to do just that. Topography varies from island to island, from pristine white beaches to craggy, lava rock landscapes, keeping travelers of all ages, rapt. 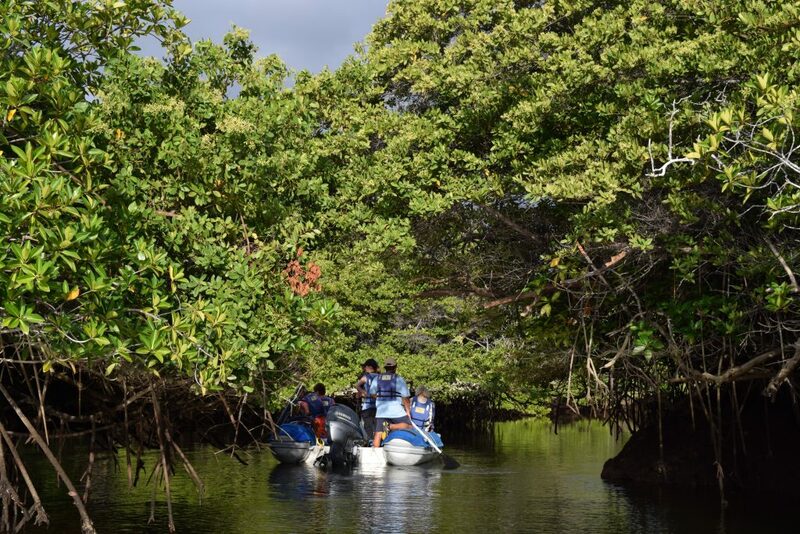 A boat ride through lush mangroves reveals turtles, rays and reef sharks. Conservation of this unique environment is the result of collaboration between local governments and multiple conservation organizations like WWF. 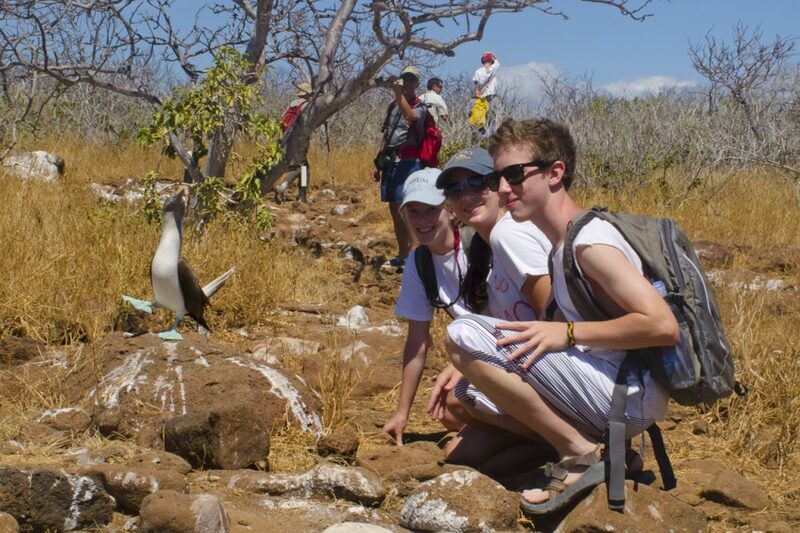 If you’re not a bird lover before you arrive in the Galápagos, you will surely be one by the time you leave. Home to some of the world’s largest collections of sea birds. Iconic blue footed boobies and frigate birds can be spotted almost daily. 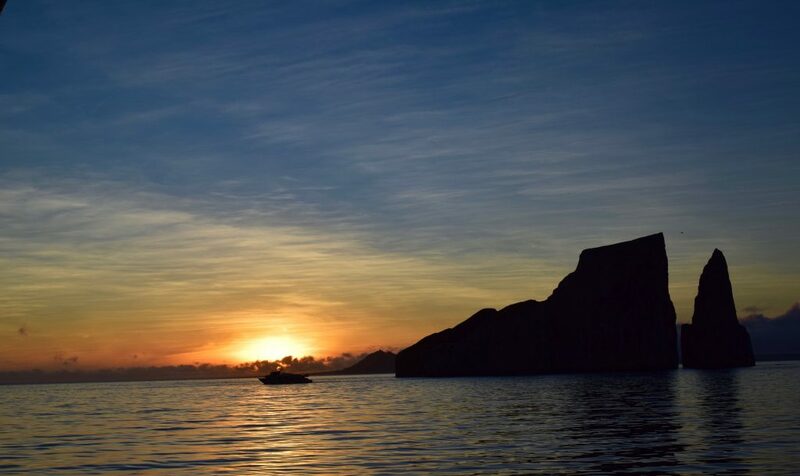 The voyage also includes an unforgettable trip to Española Island to see nesting waved albatross. A highlight for young and old alike is an overnight stay in a tortoise camp on Santa Fe Island. 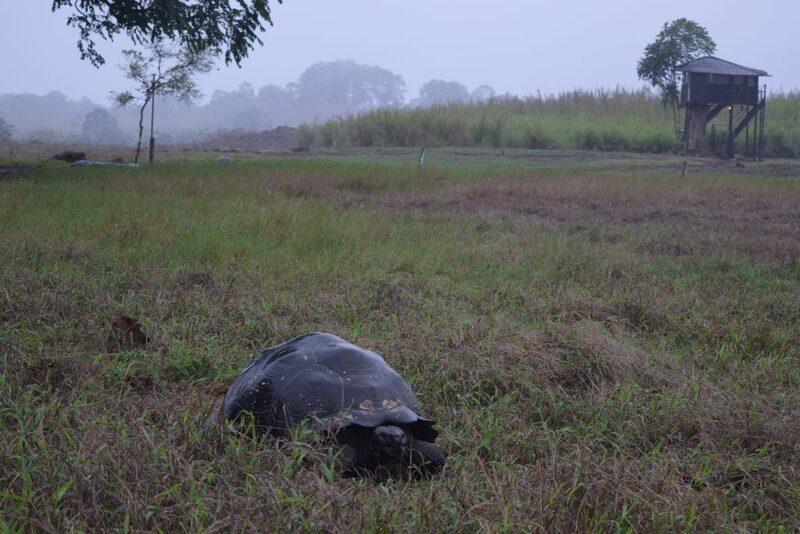 Giant tortoises roam below treehouse cabins and a visit through a volcanic cave tops off the extra special experience. Around 250,000 giant tortoises are thought to have lived on Galápagos before the arrival of humans. Today only 15,000-20,000 survive. You cannot leave the Galápagos without a greater understanding of the impacts of conservation on our oceans, our wildlife and our planet. The family adventure opens a child’s eyes and hearts to nature’s wonders and their role in securing its future.